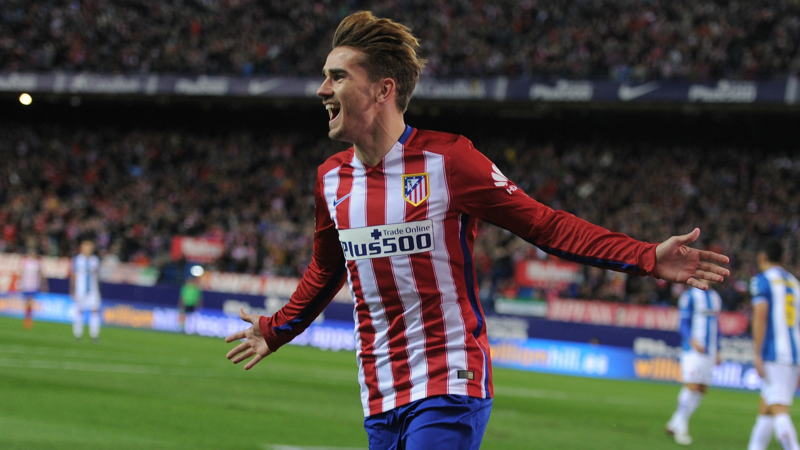 Another day, another Antoine Griezmann to Manchester United rumour. As the the summer transfer window approaches, these rumblings are only going to get louder and louder. To be fair to Griezmann, the player has tried to keep the noise to a minimum by citing that he is happy in Madrid and has no reason to leave. The French international’s approach to the media when it comes to discussing his future; however, changed when he made an appearance on the French television programme Quotidien. When asked about the possibility of playing for Manchester United by host Yann Barthès, Griezmann responds by saying that it is “possible” and that he expects to make a decision on his future within the next two weeks. The story gets interesting when Barthès asks the Atléti frontman to give the odds from 1 to 10 of him joining United this summer – Griezmann responds with ‘6 out of 10’. This could all be Griezmann having some fun with the media and fans, but having been coy about his future all season long the Frenchman’s admission comes as a surprise. Griezmann has finally dropped a golden nugget.